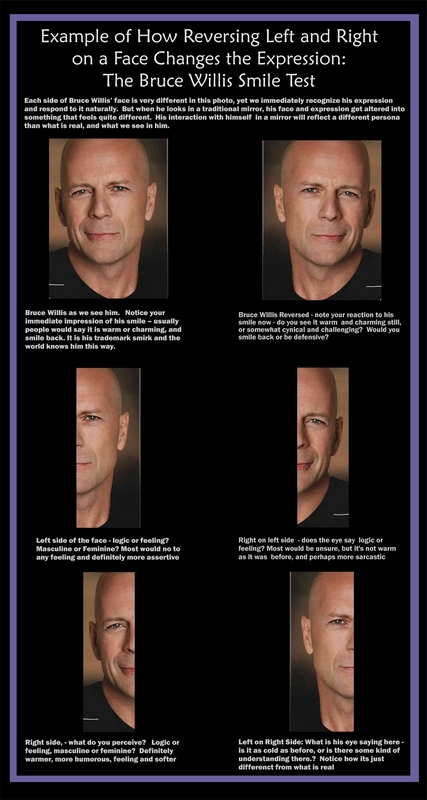 Bruce Willis’ smirk deconstructed to illustrate the True Mirror experience | Hair Part Theory – Discover the Difference! The companion story about the Hair Part Theory is how 3 years after discovering the effects of hair parting in my own experience, I had another epiphany in front of the mirror – I saw myself for real in two mirrors at right angles – which makes a true reflection mirror (now sold as a True Mirror). It was an amazing experience because I finally connected to myself, spot on, eye to eye contact, and I felt really good about who i was seeing. I was alive, happy, and genuine! 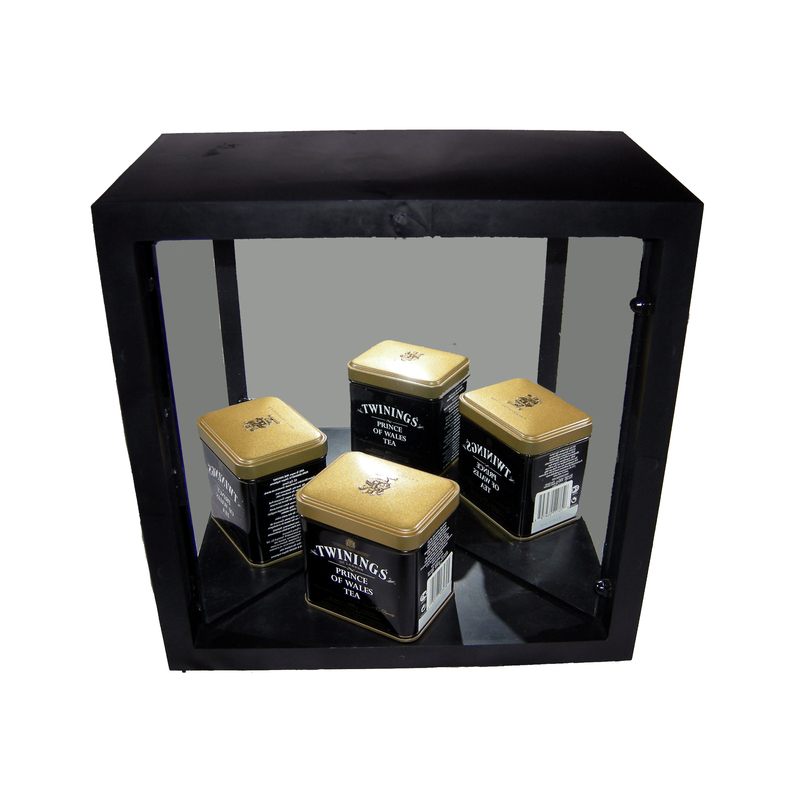 In the following years, I started producing the True Mirror and also developed a theory about why it is so different. Basically the idea is that our left and right sides of our faces are different, and convey different information, because our brains are different left and right. I believe there is clear correlations in your left and right sides of the face with what is going on inside. This is also the basis for the Hair Part Theory having its effects in biasing one over the other. The point of this post is that when you flip your face in a mirror, the message of your face doesn’t match what is real anymore, and you quickly tend to become expressionless and more self-critical and doubting. However, in a True Mirror, your face matches what is real, so if you are feeling good, you see it confirmed. If you are feeling bad, its easy to get compassion and empathy from yourself, because you see what is going on internally. The attached photo of Bruce Willis easily demonstrates the power of flipping your image in a mirror to change the essential nature of your expression. I have taken his classic smirk and deconstructed the left and right sides, then flipped it and deconstructed again. Before his smirk is fairly humorous and makes you feel good, flipped his smirk is very sarcastic and you feel he is challenging you. Now when we look at the reversed picture, it doesn’t change while we look at it. However, in a mirror, our face changes immediately in response to what we are seeing, which is why we usually don’t smile back at ourselves for more than a few seconds – smiles in particular just don’t look right backwards, and we don’t smile. In a true image mirror they do. (try this at home – hold two mirrors at right angles and look into the angle and try a real smile…can you see the sparkle in your eyes? now look in the flat mirror and see how it just fades and you start staring.